Coups, oil and a resurgent West: The Future of China – Africa Relations? The year is 2015: following a coup in an unstable Central African state, the new government eyeing an easy and unpopular target, seizes control of Sinopec controlled oil wells, in the process inadvertently killing some of the onsite engineers, all Chinese nationals. The government gains temporary popularity with the public thanks to the popular perception of the Chinese as benefiting from the country’s oil wealth at the expense of the public, but soon faces the tricky task of trying to operate the oil wells without Sinopec’s expertise. On the other side of the world the outcry in China is immense as nationalist feeling rages at the killings runs high and netizens demand a response against the rogue state. At the same time a slow and troubled economy means the government is unpopular and action abroad could help them regain popularity and take the pressure off for a while……. could this be a future scenario in China- Africa relations? A recent interview I did on the subject of the future of Sino-African relations along with the release of a Chinese State Council Paper on China – Africa relations got me thinking about this subject, what does the future hold for Sino-African relations? 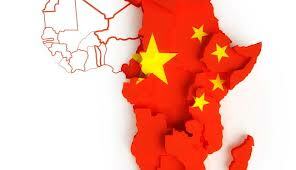 How will a Chinese slow down effect demand for African goods? Will Chinese or locally funded manufacturing take off in Africa? Will other rising powers such as Brazil or India come to the fore in Africa, eventually eclipsing China? The Chinese white paper claims that the biggest sector for Chinese investment in Africa is now the manufacturing sector, (2009 -2012 USD 1.33 billion and an overall total of USD 3.43 billion) citing automobile plants in Ethiopia, sugar refineries in Mali and textile factories in Uganda. Another fast growing sector is financial services, with a total of USD 3.87 billion given, much of that surely the ICBC – Standard Bank deal, but there have been other big deals such as the NedBank and Bank of China tie-in. If the figures are at least vaguely accurate, these trends paint a new picture of China in Africa, moving beyond the popular perception of natural resource extraction and big infrastructure projects. If these investments in manufacturing continue, the results could be enormous job and wealth creation, albeit hard and depressing work for those involved and as the experience of China has taught us, destructive to the environment. That’s not to say African countries cannot learn from China and avoid the worse excesses of industrialisation. The start of this article outlined a potential scenario, the seizure of oil fields, which could be part of a potentially more hostile environment for Chinese firms, as anger at their company’s environmental and social standards and the pressure of being the number one outside power leads to China finding Africa a less pleasant place to operate in. Another interesting concept is an Africa divided along China/Western lines, with some states (those with strong economic ties and with dictatorial governments, such as Angola, Sudan and Algeria moving into a pro-China camp, with others taking a pro-western stance and distancing themselves from Beijing. This has already happened to an extent, but could be more pronounced as Chinese power grows and the US and EU pay the continent more attention. At the moment it may be the single biggest influence, but if you consider the EU as a cohesive block with similar aims and ideological outlook, which is also closely allied with the US making a “Western” or G7 power block, power which is channelled through aid agencies and bodies such as the World Bank and IMF, then the China influence does not look so pronounced. But the flipside is the Chinese government is more focused and able to carry out its strategic aims. I will be returning to the themes of the future of China – Africa and China – Latin American relations very soon.